Click the images to learn more. Byberry, shown here in 1927, opened as a city institution in Northeast Philadelphia to relieve overcrowding at Blockley, a huge institution in West Philadelphia. From its beginning, Byberry provided shelter and custodial care, usually at the most minimal levels. After a series of scandals across the state, in 1938 the Commonwealth took over Byberry and several other city institutions and renamed them state hospitals. From A Pictorial Report on Mental Institutions in Pennsylvania. Harrisburg: Pennsylvania Department of Welfare, 1946. 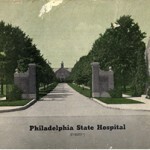 From the arrival of its first patients in 1911 to 1990, when the Commonwealth formally closed it down, the Philadelphia State Hospital, popularly known as Byberry, was the home for thousands of mental patients. In its early decades Byberry was controlled by the city, and from 1938 onward it was one of the several hundred state hospitals that were the core of American mental health care. Many of those hospitals were “noble charities,” some of the earliest having opened at the urging of the humanitarian reformer Dorothea Dix, who sought to move the “insane” poor out of jails and prisons. Following the therapeutic theories of the day, the asylums (later renamed state hospitals) offered rural retreats from the growing cities and at least the promise of treatment. 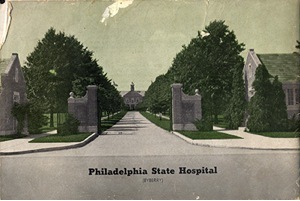 Unlike most of those hospitals, Byberry was opened as a city institution in Northeast Philadelphia to relieve overcrowding at Blockley, a huge institution in West Philadelphia that held the indigent insane in what one observer called “an ancient monasterial structure” as well as many varieties of the poor and homeless. In 1911, overcrowding in the “insane department” (also known as the Philadelphia Hospital for the Insane) led to the transfer of some inmates to Byberry City Farms (the city’s poor farm). 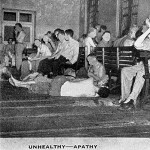 Two years later, admissions of the insane to Blockley ended, and Byberry provided shelter and custodial care, usually at the most minimal levels and with considerable overcrowding. 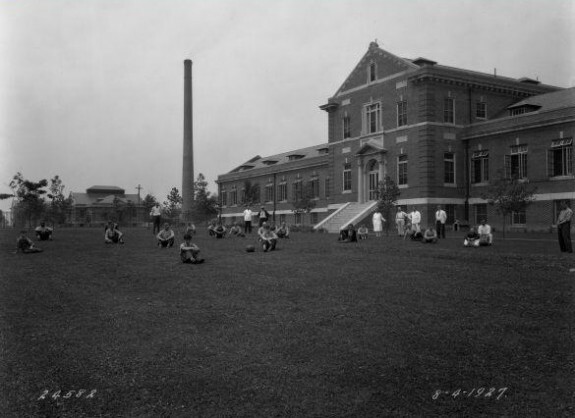 By 1914, Byberry held 2,267 residents, by far the largest of Pennsylvania’s twenty-one county mental institutions and larger than seven of its eight state hospitals. After a series of scandals across the state, in 1938 the Commonwealth took over Byberry and several other city institutions and renamed them state hospitals. But renaming a huge overcrowded custodial institution a “hospital” simply heightened the gap between humanitarian intention and custodial reality. 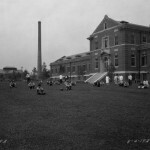 While some of the newly admitted were offered more active care, many inmates became “institutionalized” into a unique community experience, with tedium relieved by work crew duties, sitting in day rooms, or wandering around the grounds. Scandals of abuse and neglect were common. 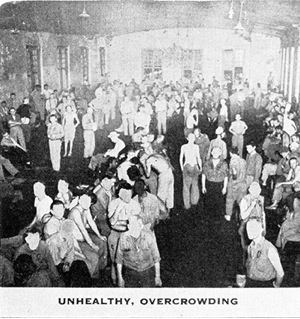 Overcrowding was a constant problem: a 1934 national survey of institutional care of the mentally ill reported that Byberry had over 4,500 inmates, while its rated capacity was 2,500. In contrast, Friends Hospital, a private institution, held 155 patients, less than its rated capacity of 190, and private sanitoria such as Fairmount Farm had even fewer (twenty-two residents, with a rated capacity of forty-four). Conscientious objectors performing alternative service during World War II witnessed and even surreptitiously photographed scenes of everyday neglect and even brutality that shocked them, though these conditions were well known to city and state officials. Novels and films like The Snake Pit and photographs in national magazines like Life and PM reached a broader public with the message that basic living conditions in the state hospitals were very poor. Byberry was among the worst in Pennsylvania. The most damning indictment of the failures of Byberry and similar institutions appeared in the work of pioneering journalist and reformer Albert Q. Deutsch in his 1948 book, The Shame of the States. 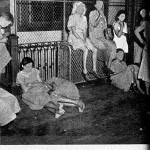 Byberry was “Philadelphia’s Bedlam,” the equal of the notorious London home for the mad in the previous century or in Deutsch’s words akin to Nazi concentration camps. 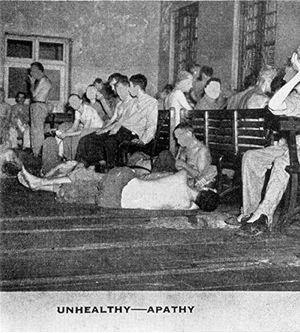 Deutsch’s account included stunning photographs of such scenes as the “male incontinent ward,” and documented the saddest and most terrifying parts of the huge institution. 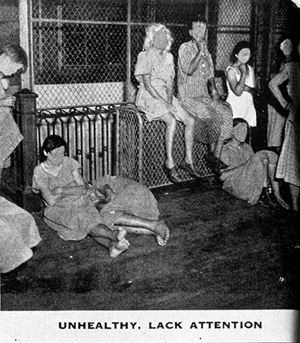 Other photographs of the era, including a 1946 report by the Pennsylvania Department of Welfare, showed similar scenes. Regardless of the public reaction, the absence of alternatives meant Byberry continued to grow. By 1947, the institution held 6,100 patients, with an average yearly cost per patient of $346. Soon after the national census of state hospitals peaked in the mid-1950s, a series of changes began the era of deinstitutionalization. But the scandals at Byberry continued: unexpected patient deaths, mistreatment, and extensive use of seclusion and restraint. Lawsuits successfully challenged the image of an effective mental health facility and pressed the state for change. By the late 1980s, Byberry was regarded as a “clinical and management nightmare,” despite the fact that its census had fallen to about 500 by 1987. In that year, Pennsylvania Governor Robert Casey directed that it be closed. Shutting Byberry led to the “unbundling” of psychiatric care for the seriously mentally ill, replacing the specialized community experience of a total institution with community programs provided by private non-profit agencies. After the last residents left the huge campus, the physical plant of more than fifty buildings continued to decline. Byberry became a favorite visiting place for urban adventurers who wandered its structures and scavengers who stripped away copper and wiring. Eventually a plan to reuse the site led to demolition of almost all of its buildings in 2006 and construction of offices and housing (“Arbours at Eagle Pointe”). But Byberry lived on in memory: Websites, rich with historical photographs and other documents, commemorated and even celebrated its notorious past. George W. Dowdall is Professor Emeritus of Sociology at Saint Joseph’s University and Adjunct Fellow, Center for Public Health Initiatives, University of Pennsylvania. Dowdall, George W. The Eclipse of the State Mental Hospital: Policy, Organization, and Stigma. Albany: State University of New York Press, 1996. Goffman, Erving. Asylums: Essays on the Social Situation of Mental Patients and Other Inmates. New York: Anchor Books, 1961. Greenberg, Andy. “Byberry’s Long Goodbye: Urban Explorers Say So Long to the Infamous Mental Hospital; Neighbors Say Good Riddance.” Philadelphia Citypaper, March 16-22, 2006. Grimes, John Maurice. Institutional Care of Mental Patients in the United States. Chicago: self-published, 1934. Hurd, Henry Miles. The Institutional Care of the Insane in the United States and Canada. Baltimore: The Johns Hopkins Press, 1916. Morrison, Ernest. The Physician, the Philanthropist, and the Politician: A History of Public Mental Health Care in Pennsylvania. Harrisburg: Historical Committee of the Harrisburg State Hospital, 2001. Payne, Christopher, with Oliver Sachs. Asylum: Inside the Closed Worlds of State Mental Hospitals. Cambridge: The MIT Press, 2009. Pennsylvania Department of Welfare. A Pictorial Report on Mental Institutions in Pennsylvania. Harrisburg: Pennsylvania Department of Welfare, 1946. Rothbard, Aileen B., Estelle Richman, and Trevor R. Hadley. “’Unbundling’ of State Hospital Services in the Community: The Philadelphia State Hospital Story.” Administration and Policy in Mental Health, 24/5, May 1997, 391-98. Records of the Department of Public Welfare, Pennsylvania State Archives, 350 North Street, Harrisburg, Pa. I am sure this is a standard question and I hope somebody has a good idea of what direction to go. My Grandfather was committed to Byberry State Hospital sometime between 1930-1935. I am trying to locate any and all his records, specifically why he was committed. Family secret and I am the last living member so I thought I would put it all to rest. Any and all suggestions will be appreciated and you will certainly be put on my Christmas list. Trying to locate records on an Uncle named Paul Douglas Goetz, date of birth I believe was February 10, 1916. I need to know his diagnosis as it may have some relation to a family member at this time. We’re trying to find a family member and believe a piece of the puzzle would be to review records of the physicians who worked at Philadelphia State Hospital (Byberry) in early 1960. I currently reside in Massachusetts and am hoping not to have to travel but am willing to do so in order to review the records…..or another family member may do so. Thank you for any helpful info you can provide. 50’s, 60’s and 70’s, i would deeply appretiate it. Thank you. Annmarie Hassey.